EXCLUSIVE VIDEO=> Iranian Police Surround Ahmadinejad's Home -- Put Him Under House Arrest! 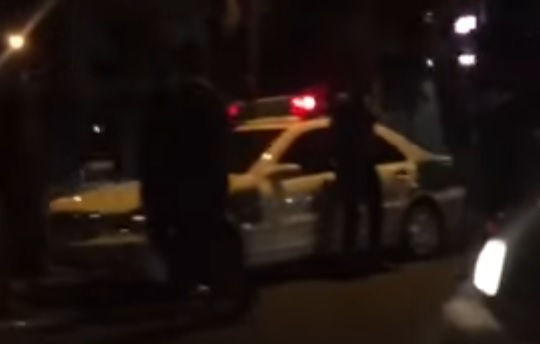 EXCLUSIVE VIDEO=> Iranian Police Surround Ahmadinejad’s Home — Put Him Under House Arrest! Earlier this week the Iranian hardliner regime announced that former President Mahmoud Ahmadinejad would not be allowed to run in the upcoming presidential election. Former Iranian President Mahmoud Ahmadinejad has been barred from standing in next month’s election by a top clerical body which vets candidates, state media report. Ahmadinejad did not take the news well at all — So the regime surrounded his home and refuse to let him travel. Supreme Leader Ayatollah Khamenei sent Iranian Guards out to surround Ahmadinejad’s house to stop his trouble making during the election. The Iranian police completely surrounded Mahmoud’s house! It was caught on camera and posted on YouTube. Via Iranian human rights activist Banafsheh Zand. 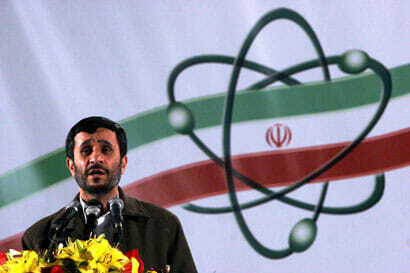 SupremeLeader sets Guards surround #Ahmadinejad’s house 2 stop his troublemaking during (s)elections.